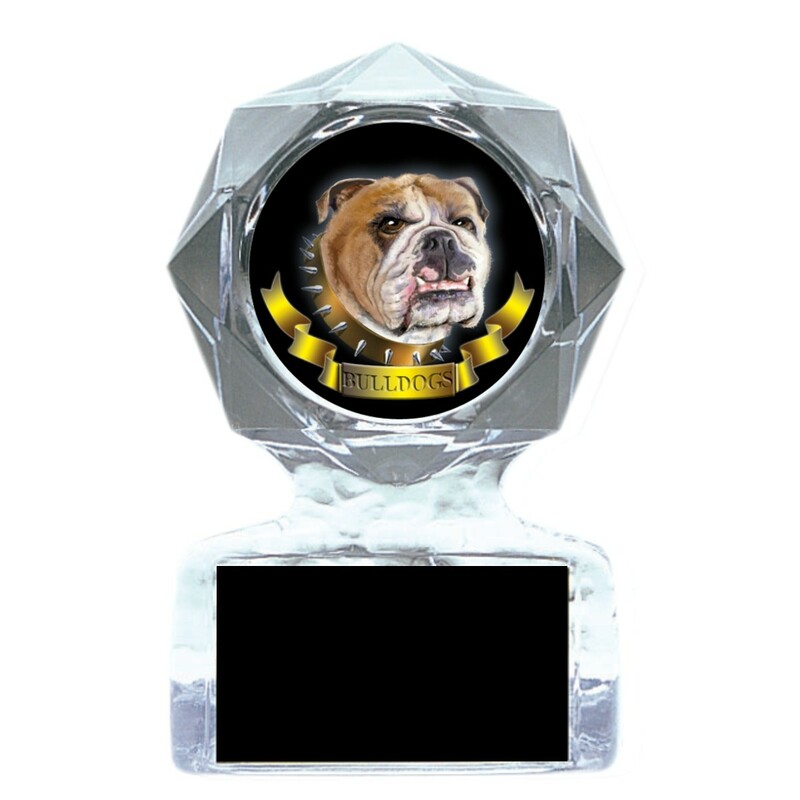 Reward your school pride with a Bulldog Acrylic Mascot Trophy! 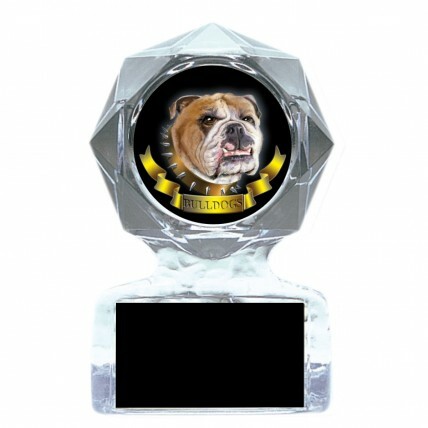 Made of crystal clear acrylic, this trophy features a 2" full-color insert of growling bulldog. Price includes three lines of engraving.